Until now, there were just two basic forms of back for office chairs. Upholstered backs are constructed with a solid back to which a pad of upholstery foam is fastened and then covered with fabric. The second type is the mesh chair. However, a new concept in task seating seeks to combine the advantages of both basic forms. The Drumback chair from Viasit is neither upholstered nor pure mesh. Martin Ballendat’s ingenious design idea was to stretch the cover fabric – similar to a drumhead – over a back component made from polypropylene. 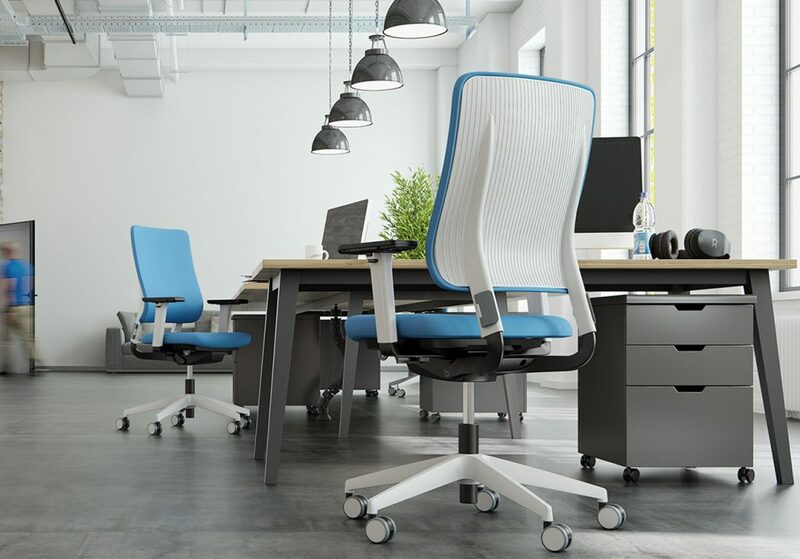 The result is a distinct and attractive design that uniquely combines the benefits of the cool comfort of a mesh back and the stability of a closed back without the need for upholstery in a fresh and contemporary look. The intuitive seat controls follow Viasit’s now familiar integrated button/slide system marked with user-friendly icons. To change the height of the back support, the user simply grips backwards with both hands while seated and folds the generously dimensioned clamps. The Drumback also features seat height and seat depth adjustment, adjustable 3D arm supports, and optional lumbar support. The Drumback is available in black, light tele grey or iron grey. The Drumback has also received the Green Product Award 2017. The design of the back saves two components compared to an upholstered back; the inner back and the upholstery foam element. These components do not need to be manufactured, transported to the factory, glued together and later recycled. The Drumback also has environmental advantages when it comes to the conventional mesh chair. The fastening plate must be very sturdy and warp resistant to give stability to the meshed back. Composites are used to achieve this, which are usually difficult to recycle. The Drumback is different: There is less static stress on the large solid back support. It can therefore be made with non-composite, 100% recyclable polypropylene that can be turned into chair backs over and over again. 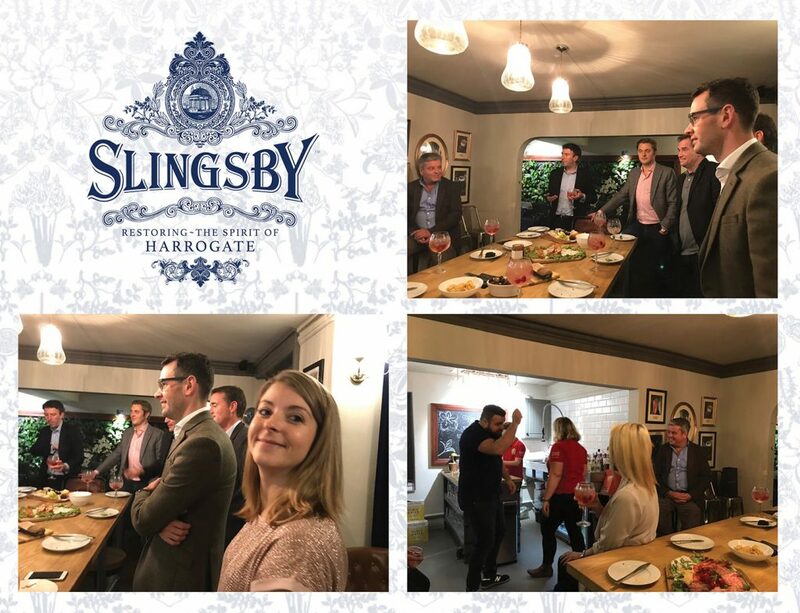 Guests of Corporate Workspace and KI enjoyed a great night at the Slingsby Gin Experience in Harrogate last night. A fascinating look at the history, origins, styles and tastes of gin along with nibbles and cocktails was concluded with a curry.